Designed to exceed the needs of rebar detailers, fabricators, placers, and engineers, aSa CAD/Detailing combines the engineering design tools of Bentley Systems’ top-rated CAD product, MicroStation, with aSa-developed applications for project management and detailing. Built-in tools calculate required steel and place these and other common structure types, including linear and circular areas, openings, and footings. Using aSa and MicroStation tools, you’ll detail as you draw in CAD, ensuring accurate bar placement and eliminating tedious calculations. The program automates every aspect of the detailing process, from initial project setup, to creating the drawing, producing accurate bar details, and advanced reporting. Material takeoff is also completely automated, so you’ll never forget or duplicate material to be fabricated. 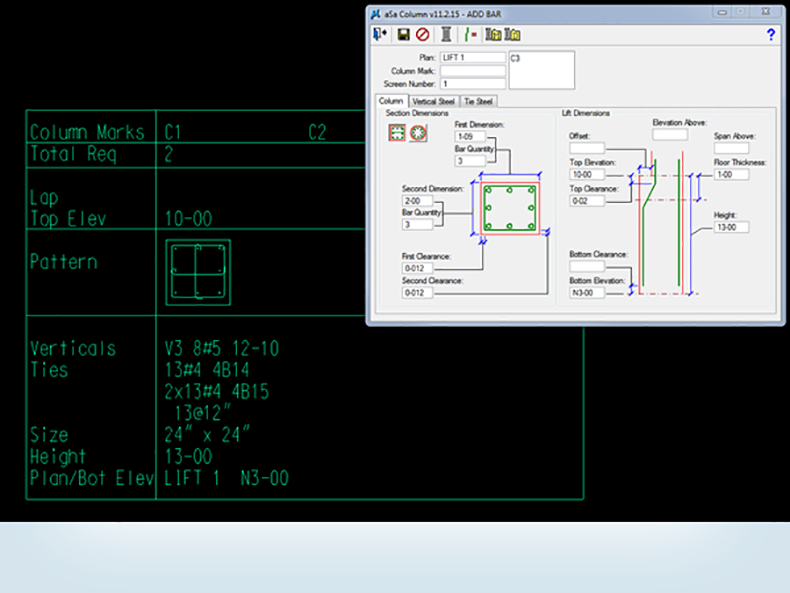 The system seamlessly integrates with all other modules in aSa’s suite of rebar software products.. I had a job with hundreds of columns, and all of them were continuous ties. I was able to draw the ties in Shape Manager, add the ties to Tie Manager, then detail them using aSa CAD/Detailing's Column tool with no problems. To detail them by hand would have taken me forever! Scroll through the screens below to explore just a few of the many benefits of aSa CAD/Detailing. Fast, easy order lookup. Easily organize your jobs and drawings. 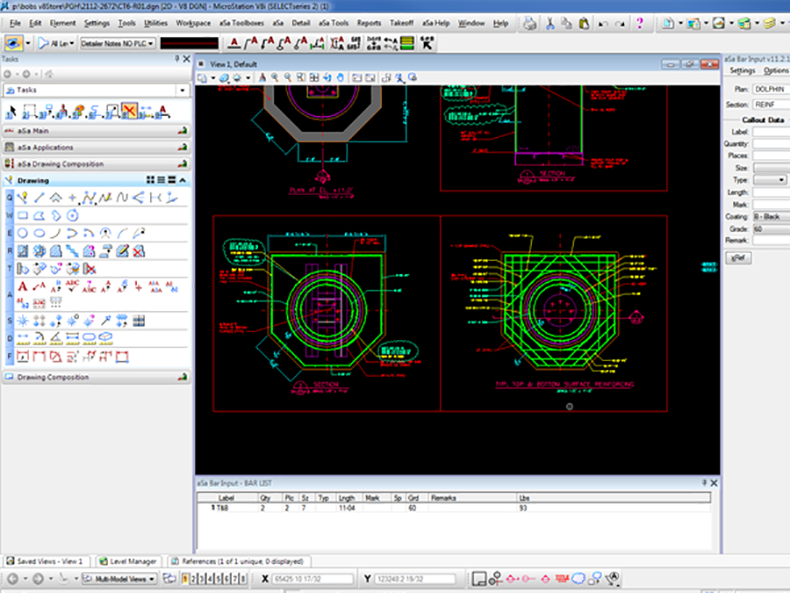 Microstation CAD drawing tools complement aSa detailing functionality. 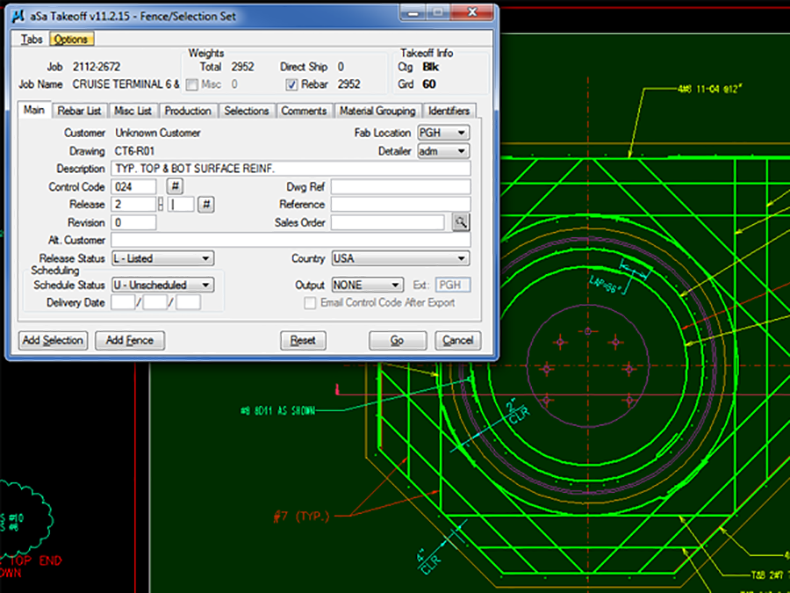 Automatically calculate and place linear and circular areas, beams, columns, openings, footings, and more. 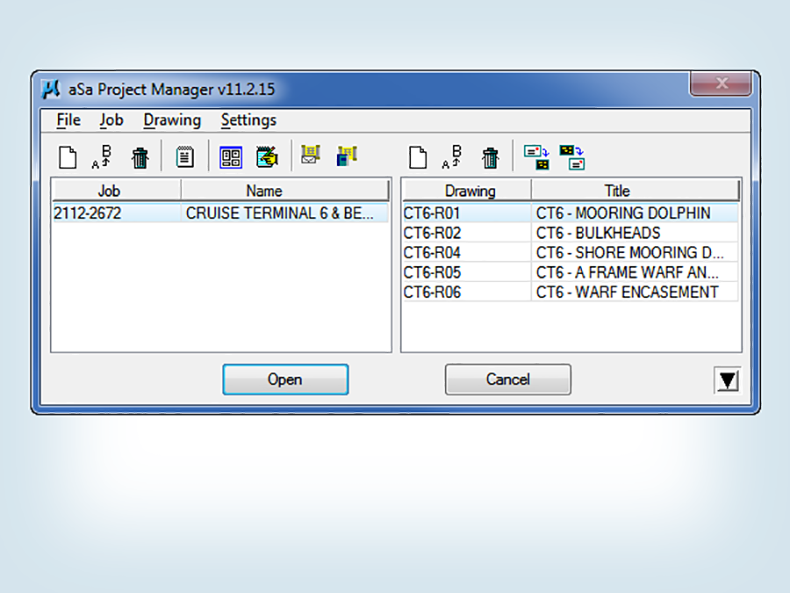 Automatically create material lists directly from the drawing with aSa takeoff. 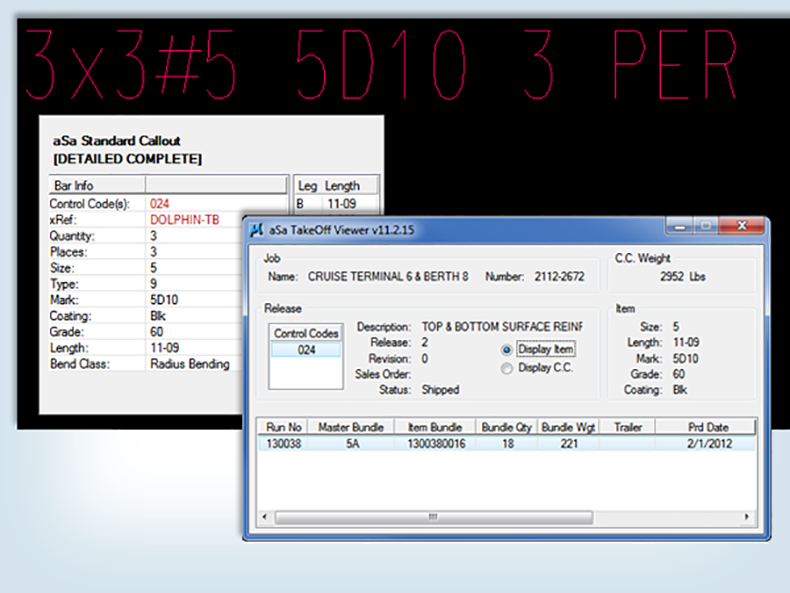 View fabrication and shipping status for your detailed bars right from the drawing.